Not everyone who uses technology is a tech junkie – majority of us are not. When looking for information on protecting your information and privacy online, often the jargon used makes it both intimidating and difficult to comprehend what you can actually do. The result is when dealing with our online security; we cover the bare minimum, and end up constantly worried about our how safe our information is on our technological devices. This book is your solution to understanding how you can protect your information and privacy online in simple, straightforward ways. 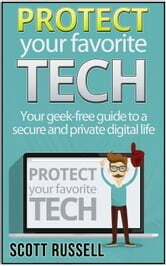 The chapters in this book are broken down into categories, with each category addressing types of technological devices that utilize the internet. 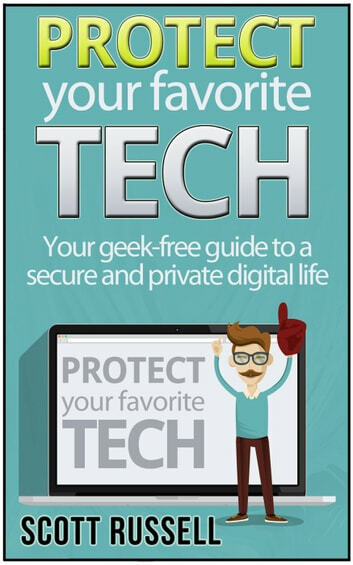 In this book, you will find practical ideas that will help you protect your favorite gadget and change your expectations to peace of mind when you are using the Internet. In addition, there is valuable information that will help you protect your privacy in the event that your technological gadget is stolen, lost or damaged. Windows 8 User Guide Reloaded : The Complete Beginners' Guide + 50 Bonus Tips to be a Power User Now!